Jakarta might be the most disliked city of South East Asia. The moment you arrive in Jakarta you can’t really blame people for their need to escape this city as soon as possible. The traffic is horrendous, the city is huge and there are 20 million people in one city (in the whole of Holland we don’t even have that many people). So it’s busy, very busy. But never judge a book by its cover, cause even Jakarta has some really nice things up its sleeve, ready for you to explore and enjoy. Since I got a weak spot for places that have a bad reputation, I think it’s time to shed some light on all the cool places in this massive city. Whether you just won the lottery or on a budget, Jakarta will entertain you for sure. 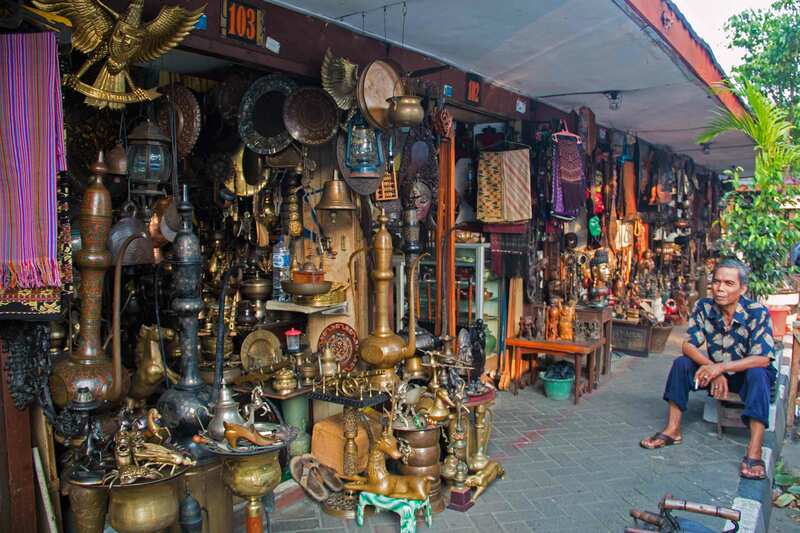 Like any other Asian city, Jakarta can be a city to splurge. There are plenty of five star hotels, expensive rooftop bars with killer views, and malls where you can max out your creditcard by blinking twice. When this is what you’d like to do (who doesn’t right?) then here a few tips where to spend your bucks. We are happy to help. First of all, check yourself into the Hotel Indonesia Kempinski. This dream of a hotel has everything you need for a great luxurious stay in Jakarta. We were very tempted not leaving the hotel at all, cause it doesn’t matter in which part of the hotel you are, it’s most likely you will get stuck. The beds are big and comfy, the restaurants serve up all the dishes you can think off, the spa is just divine, and the rooftop pool the ultimate relaxation spot to escape the busyness of the city. If you do feel like you have to get out of the hotel, then you’ll probably be happy to know that the Hotel Indonesia Kempinski is linked with its own entrance to the Grand Indonesia Mall. We stumbled upon this restaurant just by coincidence and got lured into it because of its good tunes. We were actually planning on having a quiet night and just wanted to grab a quick bite to eat, when we ended up here. All plans overboard, a bottle of wine on the table and a few hours later we were in full on party mode. Great staff, beautiful people, good food, proper club tunes and a fantastic vibe. This really is a cool place to start your night out on the town. Never have I seen such a pretty bar. The Suzy Wong Bar at Kunstkring Paleis is just a feast for the eyes. With a mix of roaring twenties and Asia this place feels like you just stepped into a movie. Great cocktails and great food as well with quite a few Dutch influences. For those who’d only like to splurge a little bit, they got Happy Hour from 3pm till 7pm on their cocktails. As easy as it is to break your travel funds in Jakarta, it’s most likely that spending a months salary in a weekend isn’t what most of us do when traveling around. Jakarta has a lot of activities that doesn’t cost a dime and great food options for those a bit more on a budget. Sleeping on a shoestring will be hard in Jakarta unfortunately, unless you don’t mind ending up at some really sketchy hostel. However, there are plenty of midrange options that are seriously really good. We stayed at the Juno Hotel which had a really good location being close to several nice neighborhoods. The rooms might not be the biggest, but everything you need is there. Plus, the beds are very very comfy. They reminded me of my own, which is always a great sign while traveling. Do prepare for Asian breakfasts. You can’t have been to Jakarta and not have visited Batavia. This part of Jakarta has so much history with its colonial Dutch remnants and multiple museums. It’s the perfect place to give you some insight in what happened here over the years. History is not all that pretty in Indonesia with both the Dutch and the Japanese invading and visiting Batavia will make you understand more of the country. Visit the Bank Indonesia Museum and have lunch at Cafe Batavia. Do prepare to get interviewed by school kids in this area who want to practice their English and are just very curious in general. Such a fun place to have coffee and cake. They’re shining bright in both qualities with super friendly (and funny) baristas. Saturdays are booming business here, with locals of all age groups meeting up to catch up over coffee. It’s hard to choose where to sit here, cause every corner of this little cafe is nice! And the treasure hunt is on… ready, steady, go! Find your way through the many stalls filled to the roof with historical gems, wayang puppets, Javanese masks and Chinese pots and vases. If only we were flying out of here… I would load up a suitcase or three. This cute little cafe with pink walls, vintage advertising posters and influences of a Chinese teahouse is worth a detour and a great low budget option. It’s mostly locals having their food here any time of the day which gives it a real nice feel. The mie kepiting pontianak got me coming back twice for a cheap, quick and delicious meal. They got some western dishes on the menu as well, but I would definitely suggest to try out their Indonesian dishes which are mouthwatering good (and very very spicy from time to time). LOVE that rooftop pool! Looks great out there!